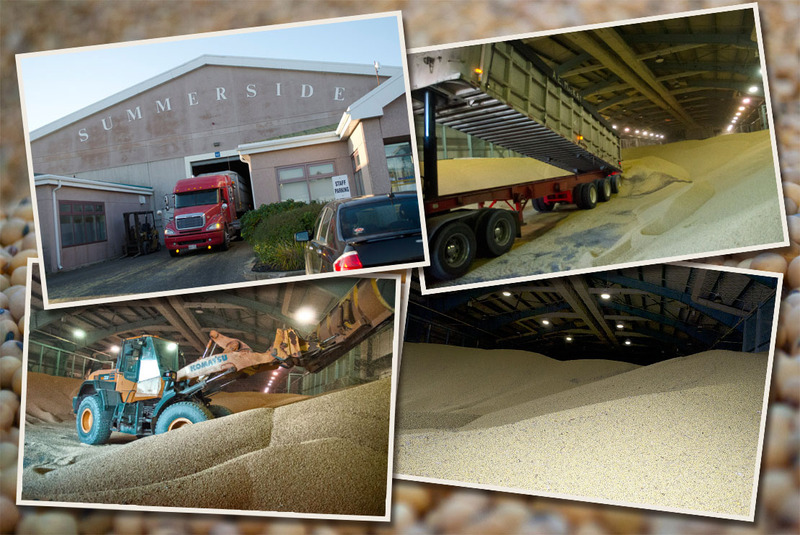 Filling Up With Beans | Summerside Port Corporation Inc.
Once again, the The Summerside Port Corporation warehouse is abuzz with activity as truck after truck after truck arrives to deliver its load of soy beans. The vast quantity of beans held in the warehouse is an amazing sight. In a few short weeks a cargo ship will arrive to have its holds filled by conveyor, a very effective means of transporting the beans indeed!